This space historian’s ideal exhibit is one that’s not quite ready to open. Editor’s Note: Air & Space occasionally asks curators at aviation and space museums around the world to name their favorite artifacts—past, present, or in this case, future. 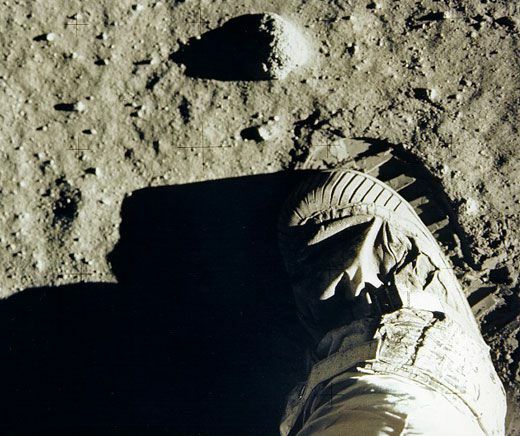 Launius also considers the footprints that Aldrin and Armstrong stamped into the moon’s powdery surface to be artifacts worthy of preservation, and he is already thinking ahead to the time when Tranquility Base, and indeed all of the Apollo landing sites, will need to be protected. “There was a move afoot to declare them a world heritage site, which is run through the U.N.,” says Launius. “And nothing came of that. There was also a proposal offered to the National Park Service to delare it a national historic landmark, which is the highest designation for historic sites. And it’s certainly worthy of that. But again, the National Park Service said we don’t have jurisdiction for anything on the moon. I think at the point where there is the serious possibility of us returning to the moon, there needs to be an effort to ensure the preservation of these enormously significant historic sites.” Until then, Launius’ favorite artifacts lie in wait.